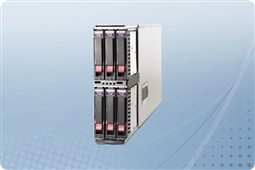 Aventis Systems carries Aventis Certified Reconditioned HP SB40c Storage Blade servers. All servers from Aventis System include a 3 year Comprehensive Warranty, with eligibility for optional Express warranties and onsite services. 1.92TB (6 x 320GB) 7.2K 3Gb/s SATA 2.5"
3TB (6 x 500GB) 7.2K 3Gb/s SATA 2.5"
6TB (6 x 1TB) 7.2K 6Gb/s SATA 2.5"
876GB (6 x 146GB) 10K 3Gb/s SAS 2.5"
1.8TB (6 x 300GB) 10K 6Gb/s SAS 2.5"
6TB (6 x 1TB) 7.2K 6Gb/s SAS 2.5"